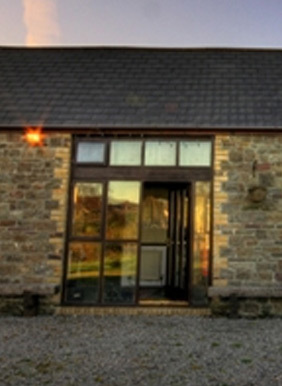 Bunkhouse Wales, Clyngwyn Farm offers a unique range of accommodation set within the beautiful countryside of the Brecon Beacons National Park and on the door step of the Brecons largest group of magnificent waterfalls. We offer a choice of 4 star 19 bedded bunkhouse with camping available only for larger groups using the bunkhouse, B&B in our 17th century Welsh Longhouse and the Shepherds Hut in its own field. With your choice of accommodation comes 4 acres of land for your exclusive enjoyment. Clyngwyn’s range of accommodation open all year round allows us to cater for a wide range of group holidays, family holidays, schools, parties, reunions and weddings/civil partnerships. We are very flexible in catering for groups accommodation and catering needs. 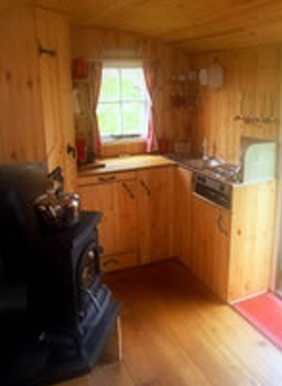 Clyngwyn Bunkhouse offers you the opportunity for affordable group holidays. We aim to provide a friendly and laid-back atmosphere for you to feel at ease to enjoy as you please. We are situated in the heart of waterfall country, and very near to the famous caves & waterfalls of Ystradfellte, South Wales. The waterfalls of Clyngwyn are literally on our doorstep. Sgwd Clun Gwyn waterfall, the first of the falls on the Afon Mellte is only 500m from the farm just a short 5 minute walk away. We are the closest accommodation to the famous Sgwd Yr Eira waterfalls renowned for being able to walk behind them. If you want to explore the Brecon Beacons National Park then there is no better way of doing it than staying at the Clyngwyn Bunkhouse Wales. If you are looking for adventure then we have one of the best terrains within the Brecon Beacons National Park which is ideal for outdoor activities & mountain biking. Other activities include gorge walking, canyoning, caving, abseiling, climbing, Quad biking, photography, painting, all on the doorstep, or maybe you are a group of friends or family looking for the perfect venue for your party, reunion or you just want to enjoy nature at its best, then look no further than Clyngwyn Bunkhouse Wales. Group accommodation is available for up to 19 people in the bunkhouse with camping available to larger groups who are part of the bunkhouse group. The Bunkhouse has a fully equipped kitchen with, full gas central heating which ensures a nice cosy stay at the bunkhouse and also heats the drying area. For relaxation, the bunkhouse has a television, DVD and CD player downstairs in the rest area. Included in your price is also full use of our 2 fields (4 acres) ideal for games, group work and team building exercises. Or simply you can use our fields during your stay for a game of rounder’s, a kick about, camping, or lying in the sun, what ever you feel will add to the fun of your stay. 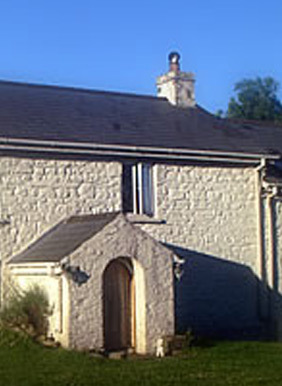 Clyngwyn offers B&B in our 17th century welsh longhouse. 3 double/twin rooms, large private lounge for your exclusive use with TV and DVD, your own bonfire area and private entrance. Ideal for families, groups or couples. We have a very relaxed atmosphere and are flexible for catering for groups and individuals needs. Catering – We can provide breakfast, lunches and evening meals for all using Clyngwyn. Dogs and horses are welcome by arrangement. The bunkhouse is in easy reach of the Welsh towns of Sennybridge, Merthyr Tydfil, and Brecon and the city of Swansea that have a good selection of restaurants and bars. Or if you feel like an excursion to the beach we are only 40 minutes away from the Gower beaches. However if you want to stay local the villages of Ystradfellte and Pontneddfechan only two and half miles away both have pubs two of which have restaurants. All are very accessible via our local mini bus taxi service. Please note we only take group bookings for the Bunkhouse. If you are interested in staying with us then please contact Clyngwyn Bunkhouse Wales and make an enquiry.